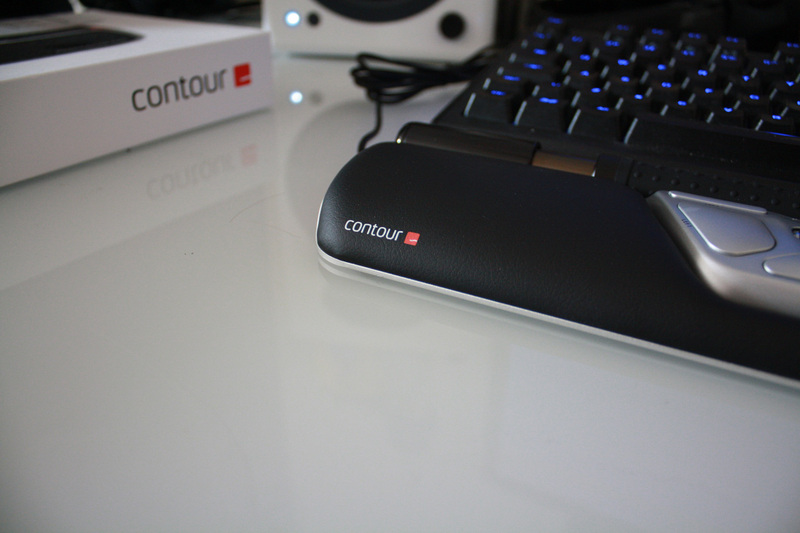 Today we’re looking at Contour’s RollerMouse Red, an ergonomic alternative to a mouse. The RollerMouse is an interesting peripheral, with a design that isn’t like most other mouse replacements. 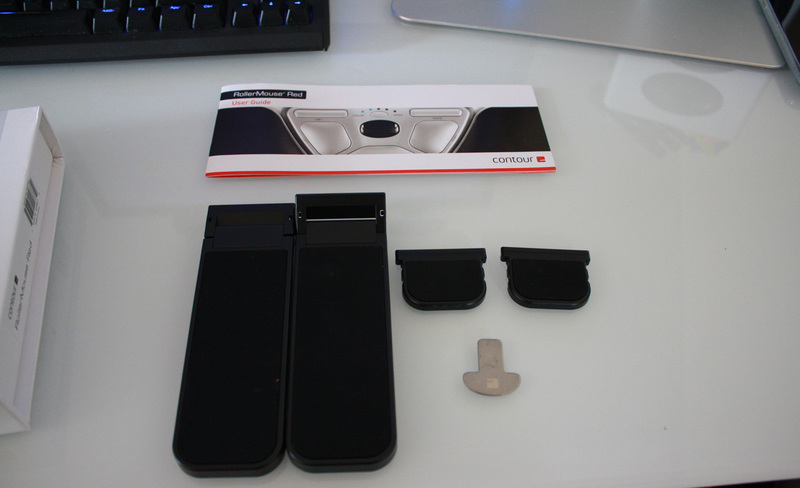 It sits below your keyboard, with a textured bar that sits along the track the width of the average keyboard and number pad. The bar can run along the track, and also may rotate, giving you two axes of movement. In addition, you can also press down on the RollerMouse to do a left click. Dedicated keys for left and right click (as well as double click, copy and paste) are found just below the roller. There’s also a clickable scroll wheel here, completing the functions you’d expect to find on a mouse. Using the RollerMouse is surprisingly natural – I expected it to be a bit hard to control, but instead it was quite simple. The tracking feels precise, and this no doubt helps a newcomer to quickly become acquainted with the device’s method of operation. It takes a bit of time to train yourself to move below the keyboard instead of to the right when you’re looking for your mouse, but once you’ve achieved this then you’ll benefit from rapid access to a pointing device. The RollerMouse feels as accurate as a high-end gaming mouse; I had no issue playing games like Civilization V as well as surfing the web, typing documents and even using Photoshop. As well as being faster to reach than a mouse sitting to the right (or left) of your keyboard, the RollerMouse is also ergonomically better than a traditional mouse. You can put your keyboard and RollerMouse directly below your monitor, and keep your wrists at a comfortable orientation. Combined with changing your position and taking breaks as you work, you should feel much better after a day with the RollerMouse than with a standard mouse. 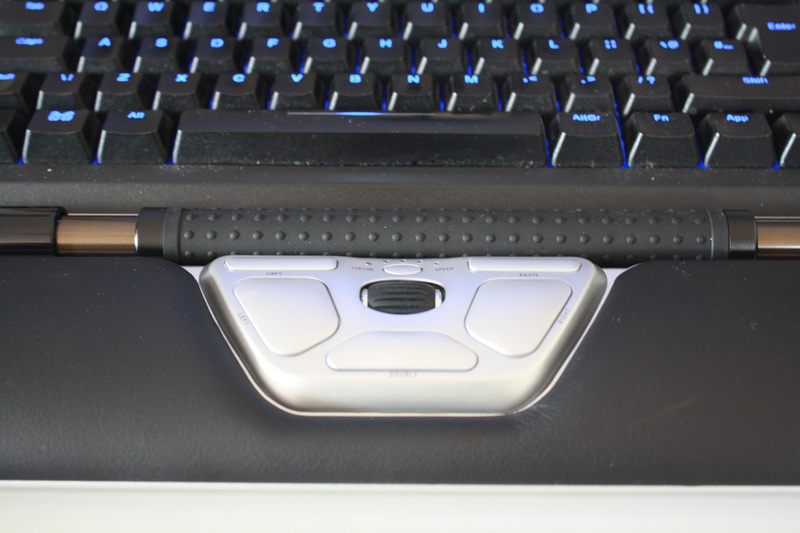 The integrated wrist rest helps here as well, letting you get a bit of relief while typing. This saves damage and stress to your shoulders, neck, elbows and wrists. If you struggle with RSI (or want to avoid it), then the RollerMouse should help. 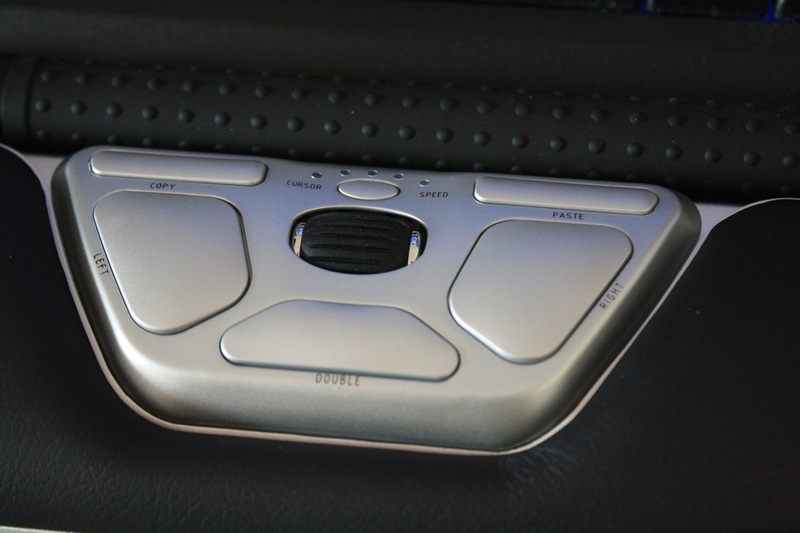 The RollerMouse is made from all high-quality materials: aluminium for the body, leatherette for the (removable) wrist rest, and solid-feeling plastic for the rollerbar. It feels solid and weighty for its size, and I would expect that to translate into rock-solid durability. It’s also relatively stylish, which isn’t surprising for a product that won a red dot design award in 2013. It’s also highly adjustable. Of course, you can adjust the speed of the RollerMouse, letting you trade off between speed and accuracy. It goes everywhere from 800 to 2400 DPI, thanks to a “twin-eye” laser sensor. You can also adjust the volume of the clicks made when you press down on the roller, letting you get a comfortable level of audible feedback. The force required to register a press on the roller can also be adjusted; I ended up disabling presses entirely because I was using left and right mouse buttons below. 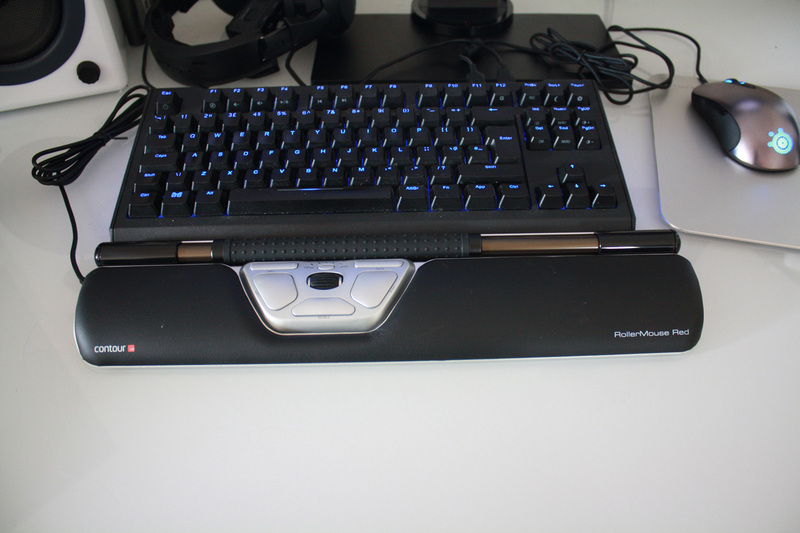 You are also encouraged to get the positioning between the keyboard and the RollerMouse right; you even get risers for your keyboard to make sure it’s at a comfortable height. It was really nice to have this level of customisability. Installation is a breeze; just a case of taking it out of the box, removing the thing that says ‘remove’ and plugging it in. There are no special drivers required on Windows or Mac, and everything just works. You can then adjust the default settings if you like (as above), but you may choose not to do so. Even the box feels premium, with tough plastic surrounds for each component. Combined with the longevity of the RollerMouse itself, I feel that it could last for decades, even being passed down from generation to generation! The RollerMouse Red is available from The Keyboard Company via the links below. 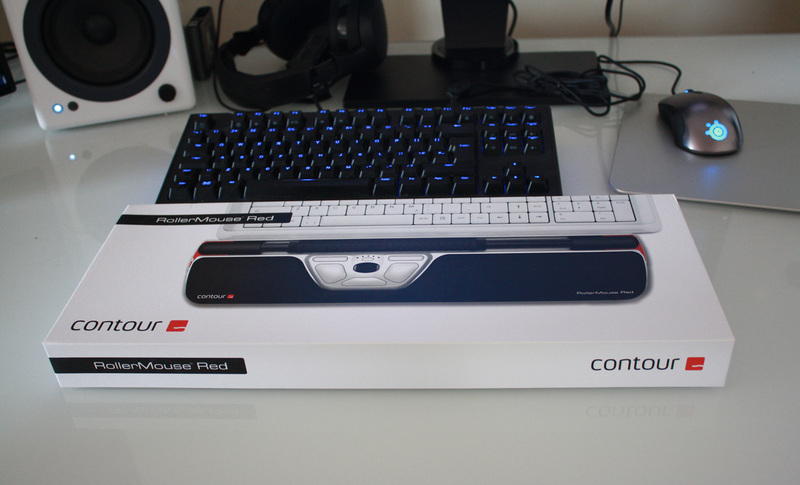 You can also pick up the RollerMouse Red Plus, which comes with a longer wrist rest for enhanced support. We actually offer the RollerMouse with a 30 day money back guarantee; you can try it out for a month and get your money back if you decide to return it. Please see the product pages linked above for the full details! Working on a PC all day long, I had many arm issues, and used Rollermouse Pro for years. I really loved it, everything was working smootly…but after few years, it became old. So I was very excited buying this new model, “roller mouse red”, espiecially with all the fantastic review. Receiving it, it seems sturdy, the roller bar is very effective… The point is that I get the serial number 58090950 1.8, which seem to be buggy in many way. 2 – Have to reset to factory setting regularly (as the double click don’t work. Support was nice, but all these bugs need constant ajustments which is very annoying. Having been told at the beginning that this serial number was buggy (“known issuesw again” was I told), I would have return it while I could, and get another one… But they wait our 10th email to told me that, and then too late for me to change. So a this point, and for this price (it is quite an enpensive device) I must say I am highly dissatisfied with this Roller Mouse Red. I miss my easy to use Rollermouse pro. 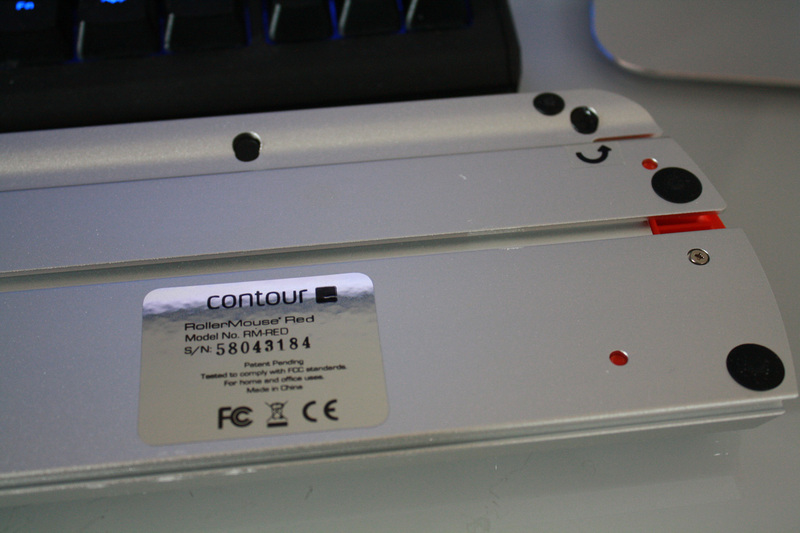 1 Pings/Trackbacks for "Contour RollerMouse Red review"